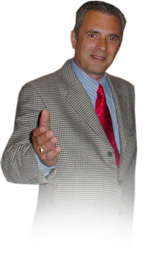 Add this image to your printed and online materials for events George is speaking at about how to sell your home fast. These images are designed for 5 day sale promotional use. Learn about George Cappony's speaking history and topical outline for the 5 Day Sale Method. Find out why he is the nation's oficial expert on how to sell your home fast. A veteran speaker, George's tactics and strategies will show your investors how to work the 5 Day Sale Method. His interactive, 90-minute multimedia presentation will show you exactly how to sell your home fast.